I have found a good and free circuit simulator,Multisim Analog Devices Edition 10.0. As you may know that Multisim is a famous electronics circuit simulation software. It's based on Electronics Workbench from the same company. I have found the free version (not the cracked version) of Multisim by chance and you may not find it on the National Instruments website. It comes with a lot of measurement tools and it's very easy to use. I use it to simulate various analog circuits. 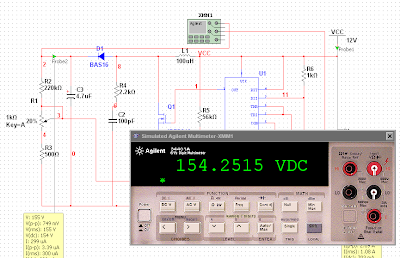 The image below shows the screen shot of the simulation of DC-Boost Converter (12V to 150V step up). Not only analog circuit, but it also simulates digital circuit as one may call it 'Mixed-Mode Simulator'.